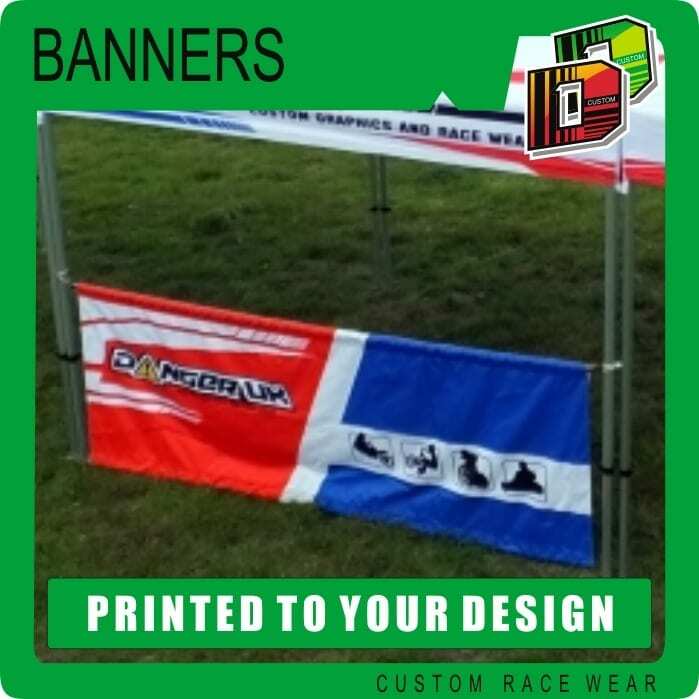 Custom Printed Banner. Printed Cloth with a (stiffer upper and lower shirt, not shown on this image). Comes with velcro fastening straps.